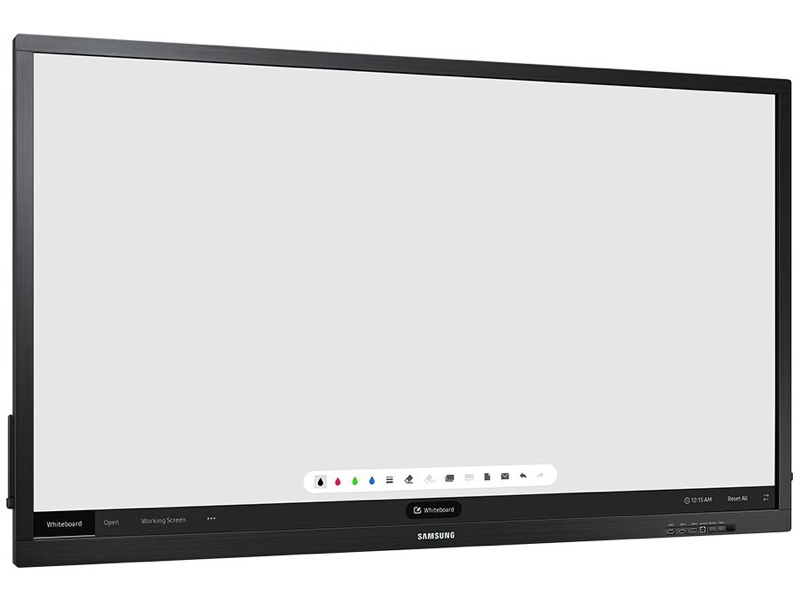 The Samsung QB65H-TR is a 65″ screen which offers a versatile, all-in-one screen for improved collaboration. Enhanced touch technology, the intuitive MagicIWB S5 and Ultra HD picture quality come together to boost productivity and collaboration by facilitating engaging, efficient interaction. Leverage heightened touch functionality for a smooth and versatile digital writing experience. Up to four users can write simultaneously using the provided pen or virtually any other tool. The writing experience feels natural, and the board’s intuitive User Interface knows the difference between a pen and when you use your hand to erase. MagicIWB S5 allows you to transform a traditional presentation into a dynamic business or educational experience with interactive whiteboard content management software. Enhanced usability, saving and sharing, versatility and collaboration, all at your fingertips, ready and able to use. TIZEN gives you intuitive navigation between main features such as HTML 5 Browser, Windows Remote Desktop, Shared SAMBA Drive and Screen Mirroring.